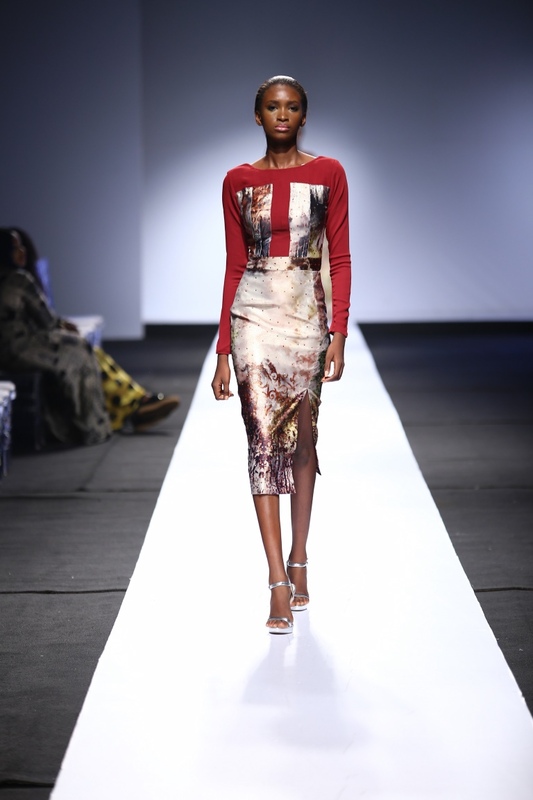 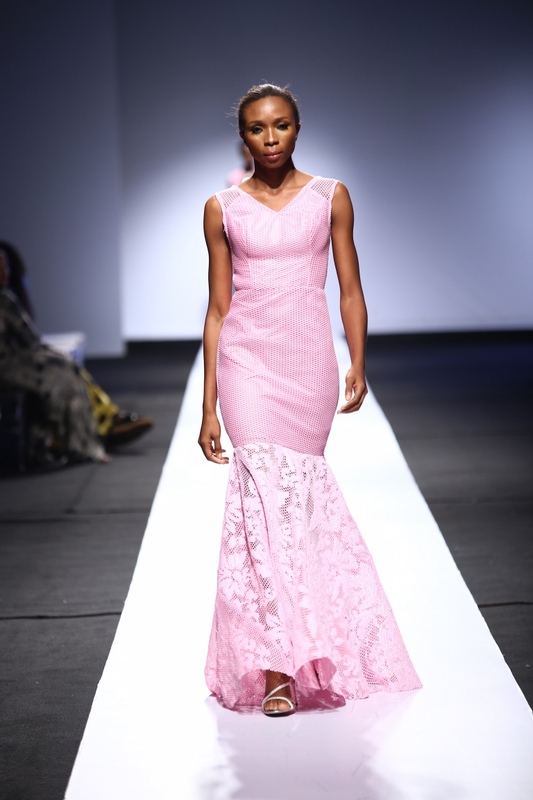 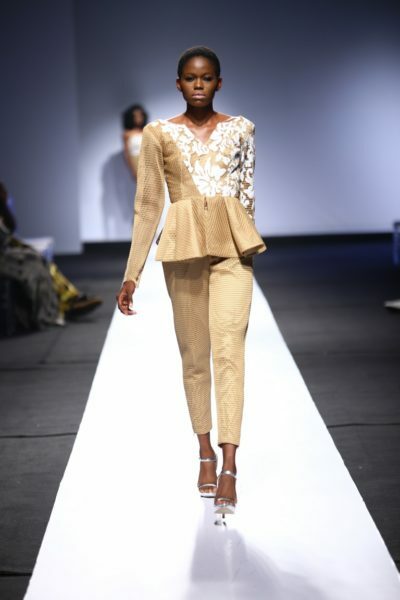 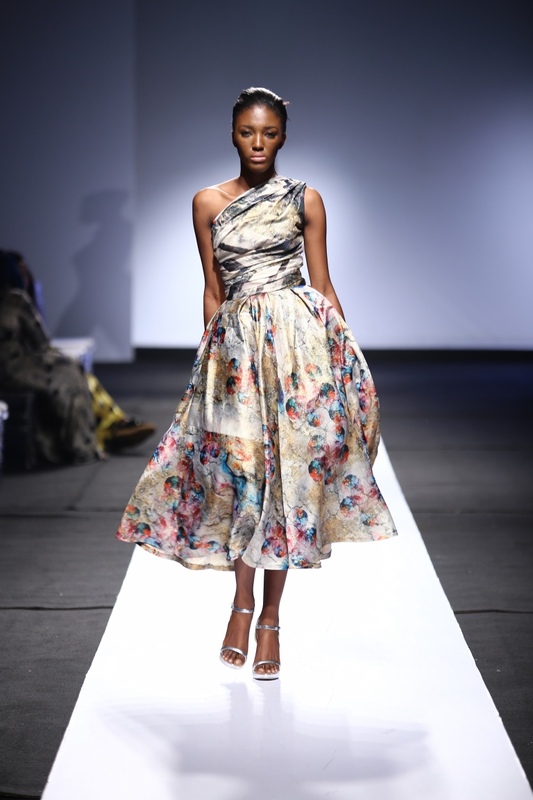 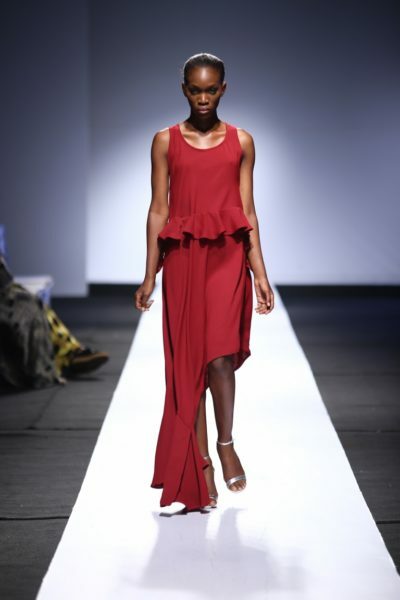 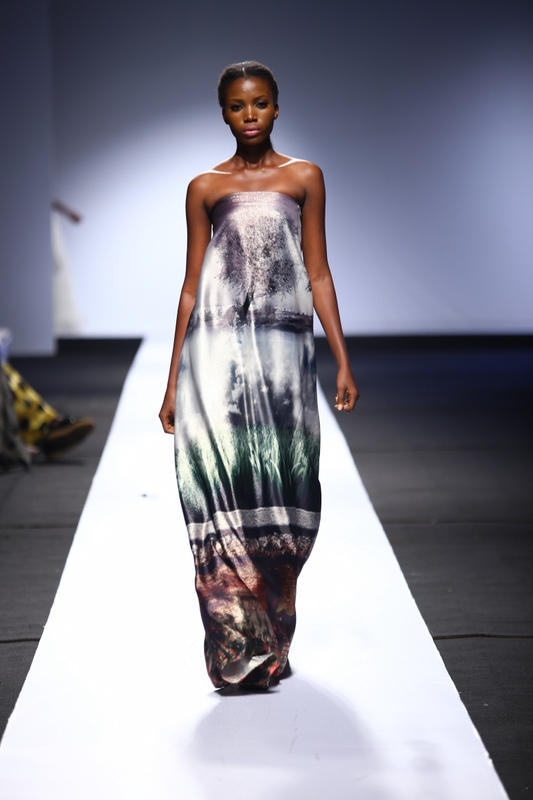 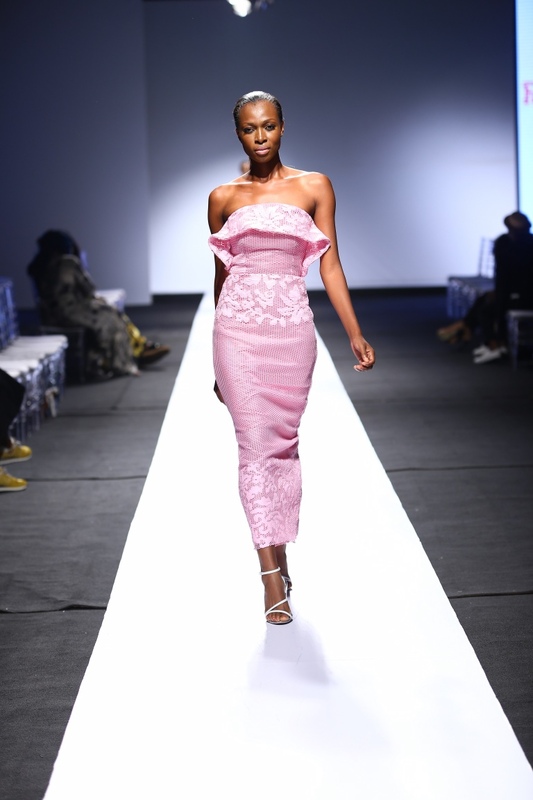 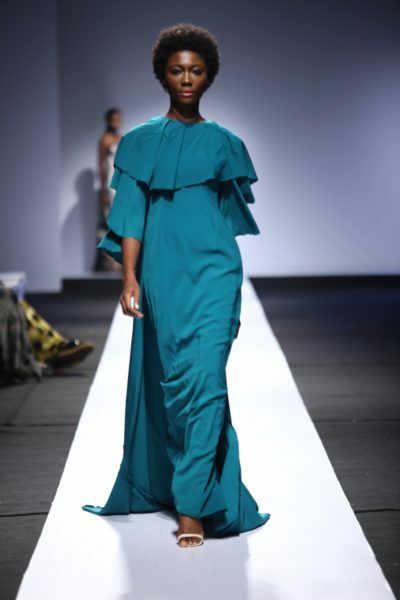 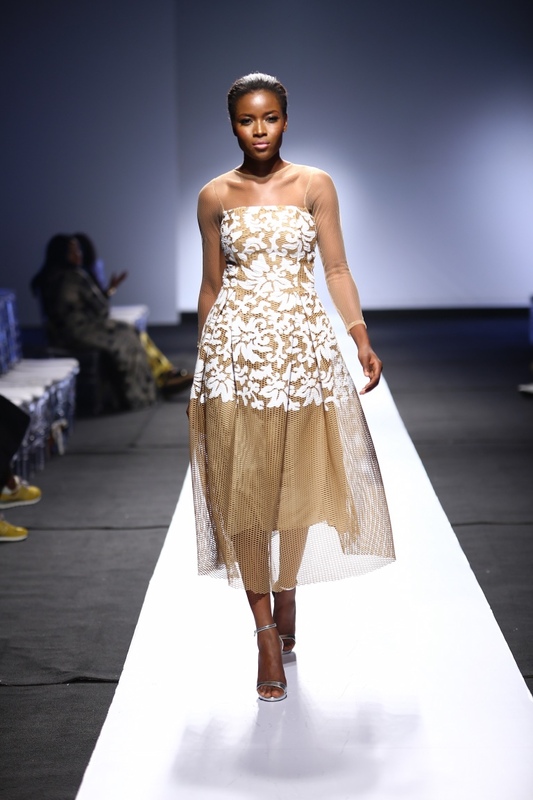 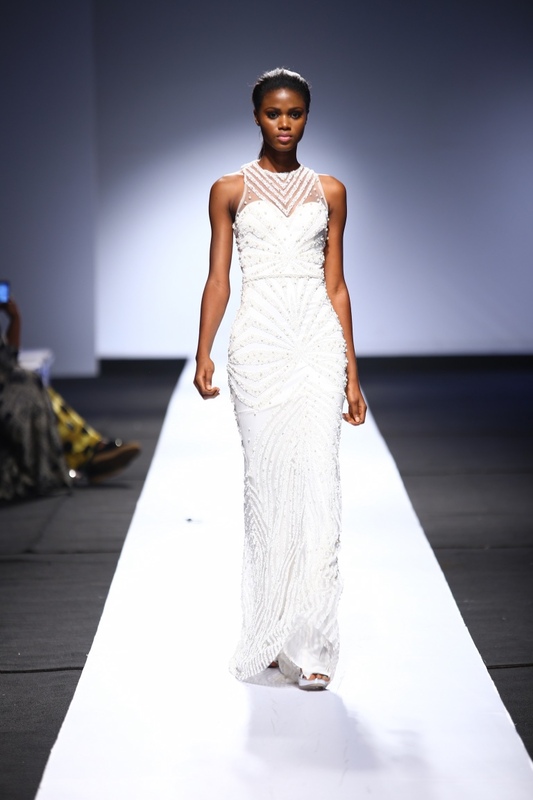 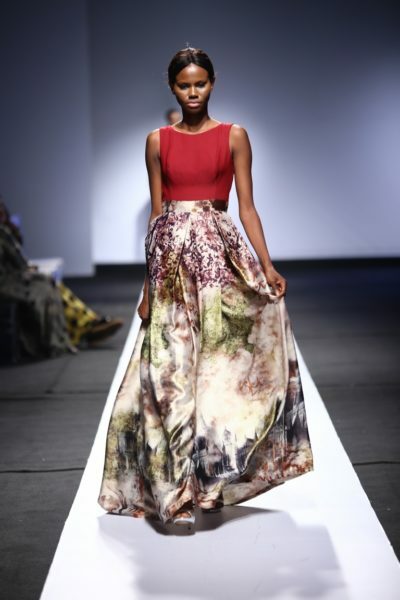 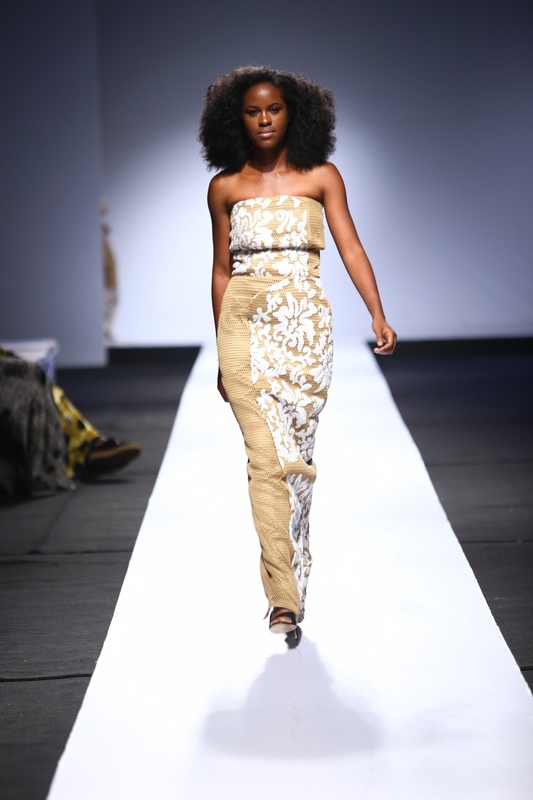 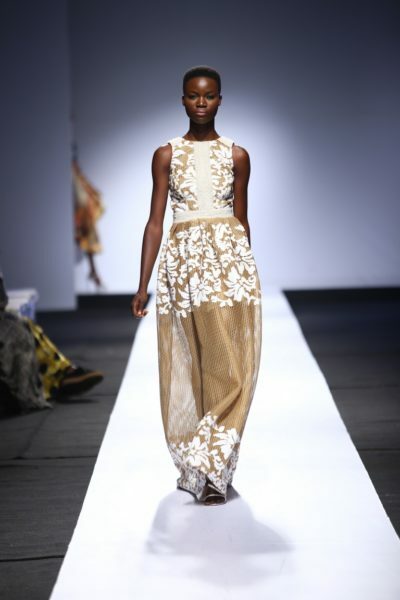 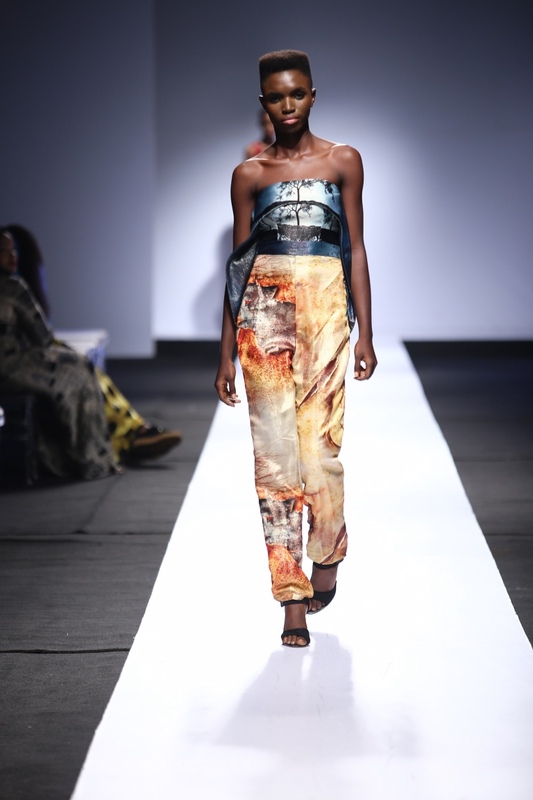 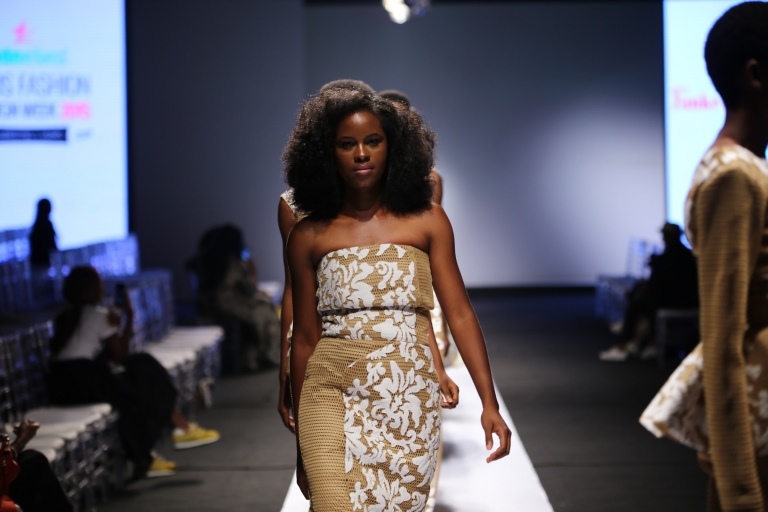 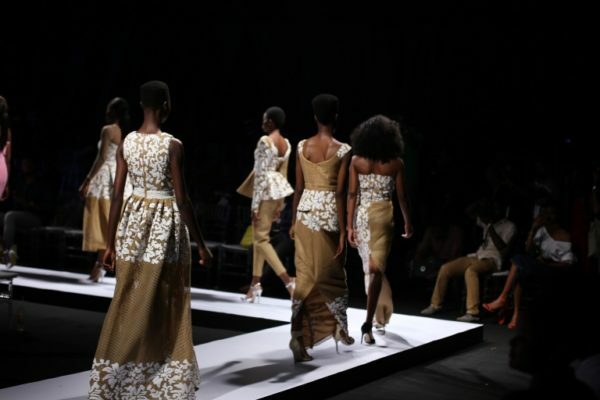 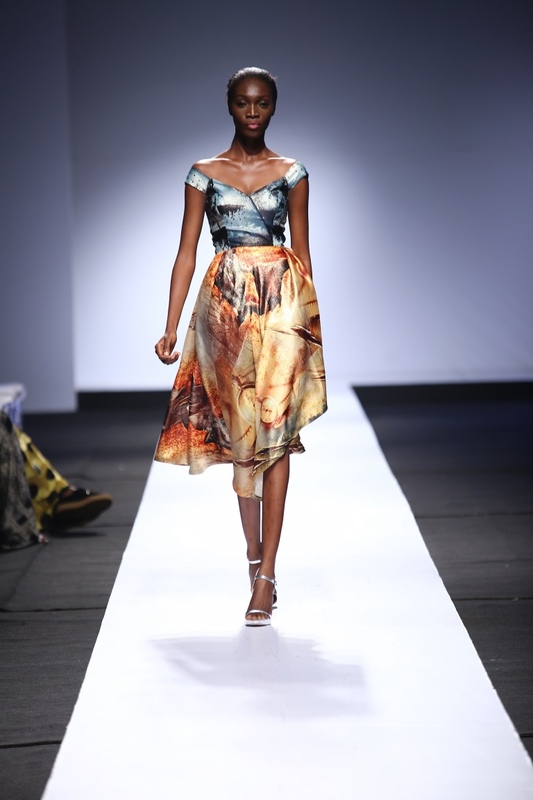 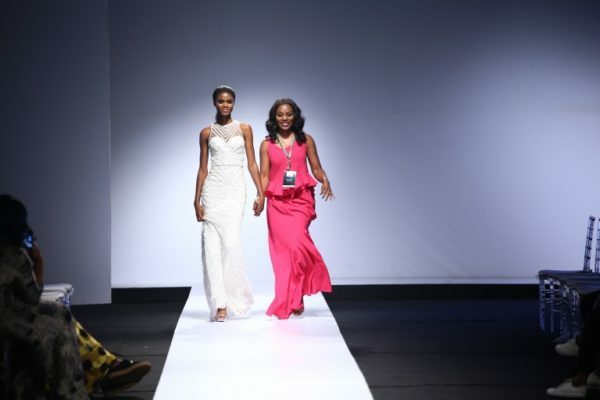 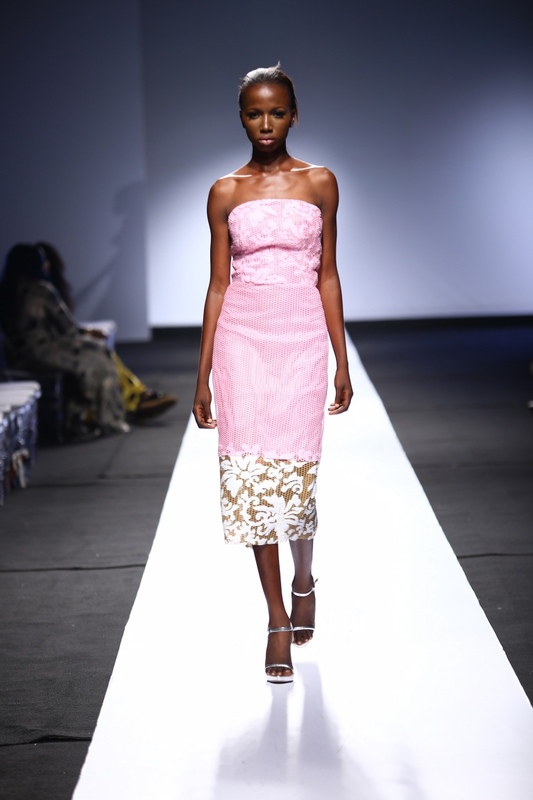 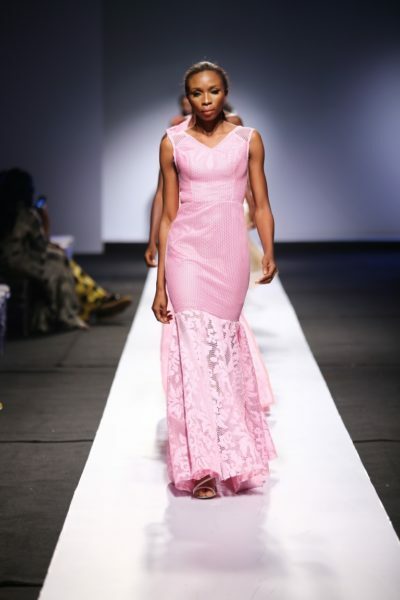 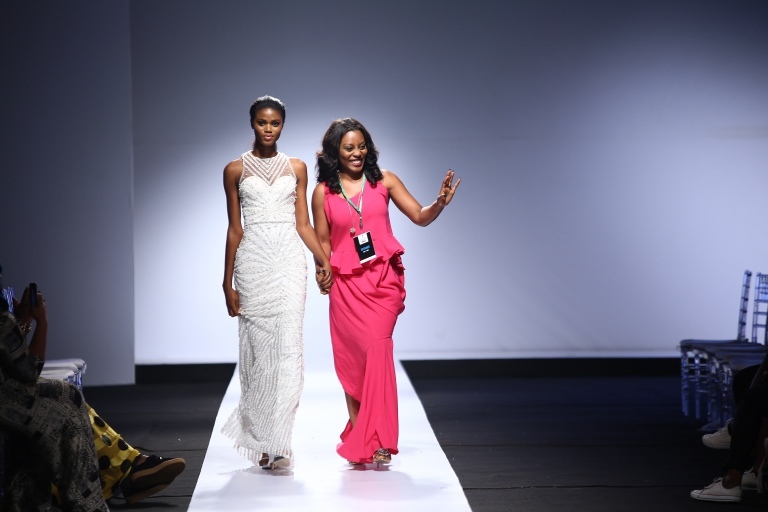 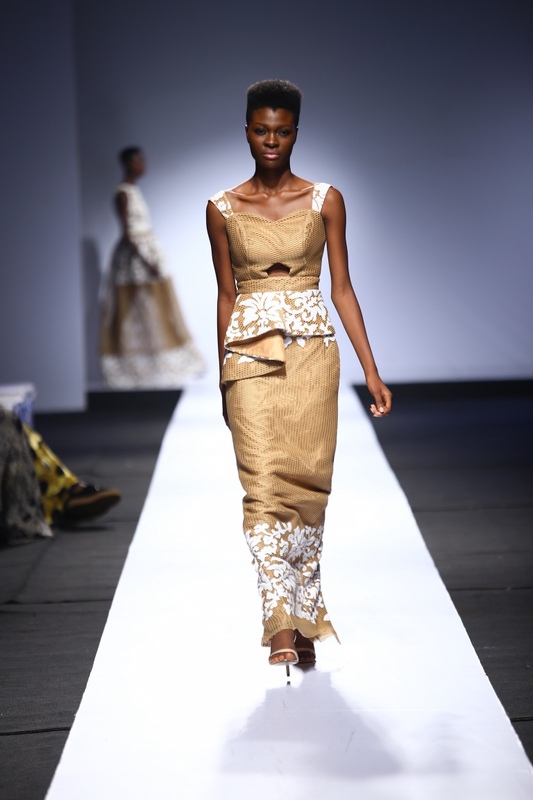 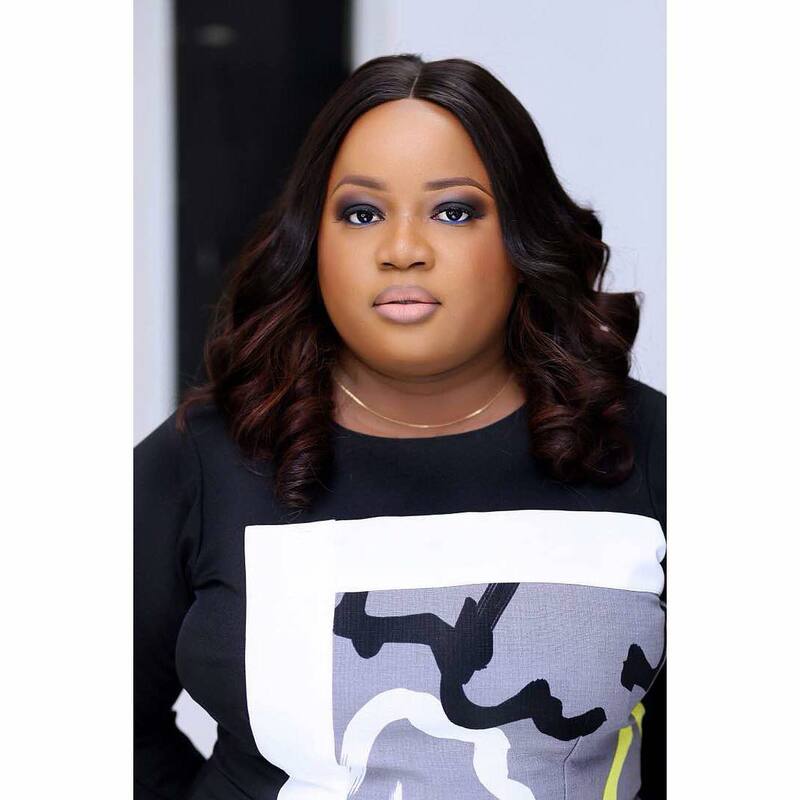 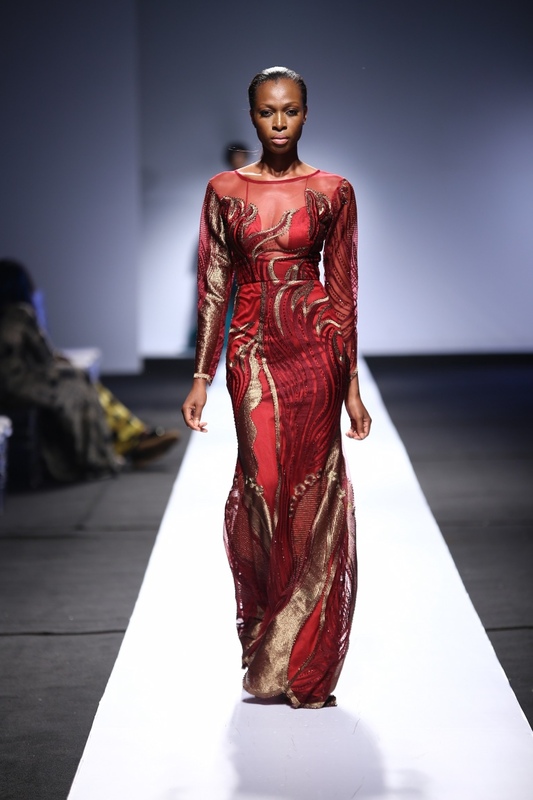 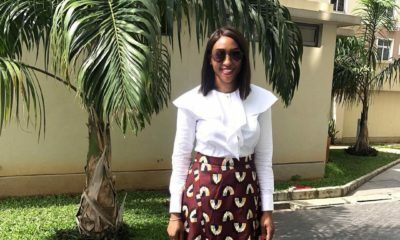 Funke Adepoju’s collection at the 2015 Heineken Lagos Fashion & Design Week was everything! 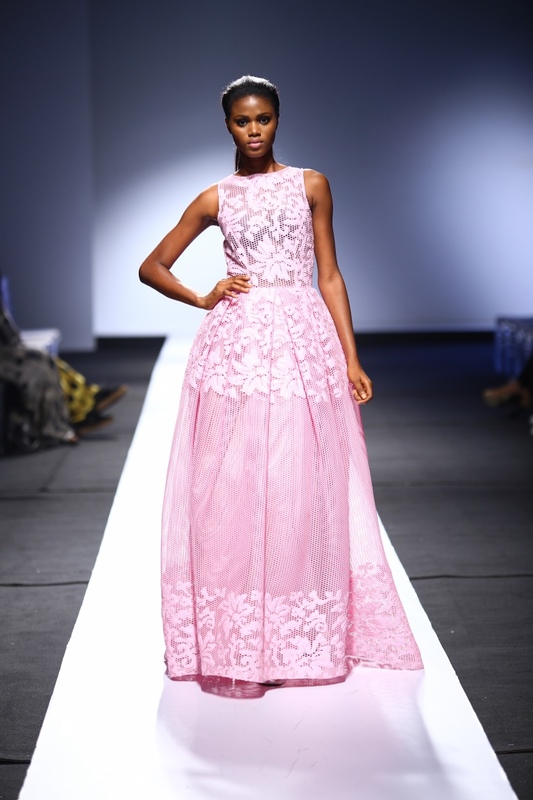 We love the exquisite embroidery and the soft colours she used for a truly feminine collection. 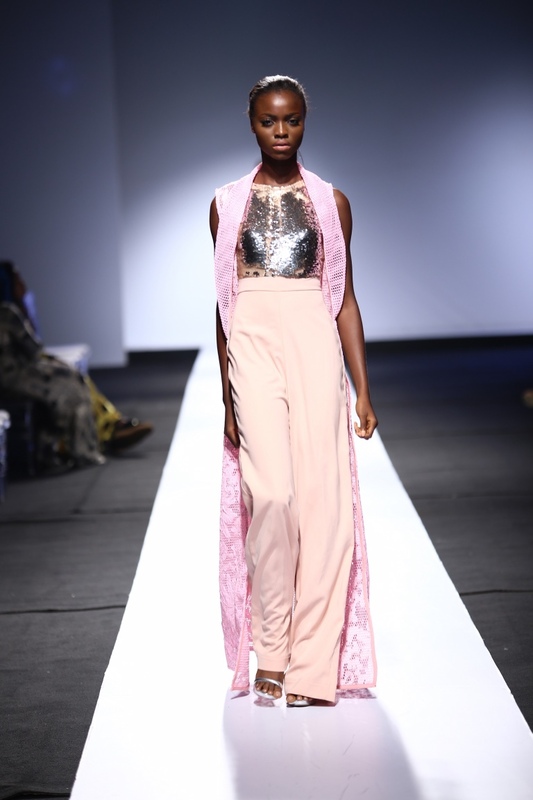 For her Spring/Summer 2016 collection she embraced sequins, lace, floral elements. The collection featured peplum blouses, asymmetrical hemlines, cut-outs, tulle skirts and many more fabulous pieces. 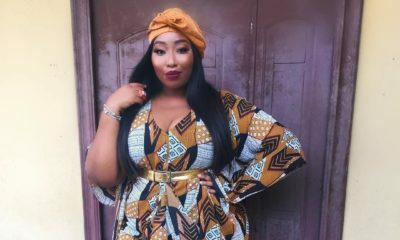 Just when we thought she was done she sent models out in the most gorgeous silky print dress. just hand me this one…that’s all…. 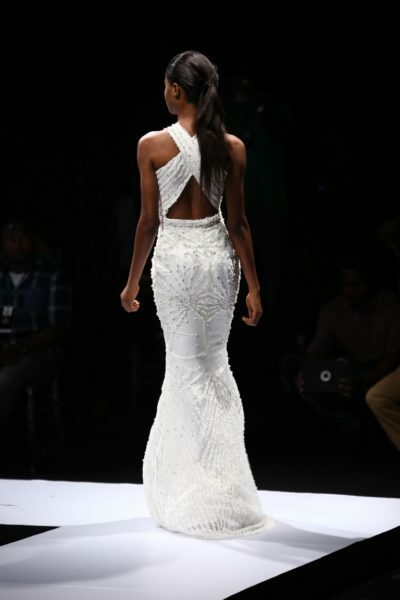 This one seems ok could do without some of the pieces, but good effort tho!